Missed only one game in another consistent season. The Club Champion and two-time All Australian ranked No.1 at Adelaide for spoils and second for marks from opposition kicks. He remained hard to beat one-on-one, conceding an average of 1.2 goals per game. Talia kept his direct opponent goalless on eight occasions, including in Adelaide’s finals wins against Greater Western Sydney and Geelong. 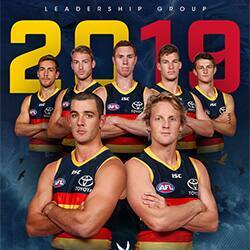 Stood tall yet again as Adelaide’s anchor in defence. 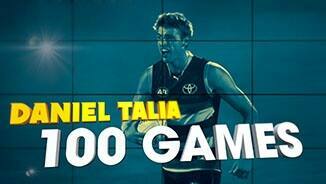 Talia conceded just 1.25 goals per game while standing on some of the best forwards in the AFL. He led the League for spoils (200) but was also proactive in defence, claiming 56 marks from opposition kicks and leading the Club for intercept possessions (177). Talia averaged a career-best 16 disposals a game and had a personal-best 28 possessions in the Club’s Round 16 win against Carlton. 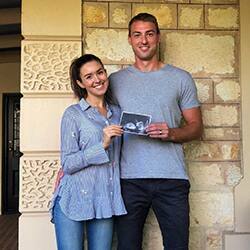 Was rewarded with his second All Australian selection and finished fourth in the Crows Club Champion count. Signed a five-year contract extension, keeping him at West Lakes until at least the end of 2021. Retained in Adelaide's six-man leadership group for Season 2017. Backed up an All Australian and best-and-fairest winning year with another solid season in 2015. The reliable defender remained one of the toughest players to beat in a contest, losing less than a quarter of all one-on-one battles he engaged in and conceding only 1.5 goals per game. Talia, who ranked No.1 at Adelaide for spoils, also emerged as a leader in the Club’s young defence. The diligent backman missed his first game since the 2012 finals series when he was a late withdrawal from the clash with Gold Coast in Round 17. Unlucky to be overlooked in the All Australian squad of 40, Talia secured another top 10 finish in the Crows Club Champion award. Will continue as the youngest member of the senior leadership group in 2016. Enhanced his reputation as one of the premier defenders in the competition, earning All-Australian selection and becoming the second-youngest winner of the Malcolm Blight Medal as Adelaide’s best and fairest player. 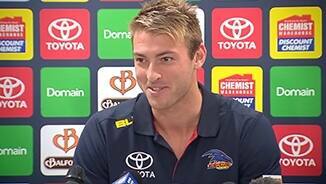 The 2012 Rising Star was a rock in Adelaide’s inexperienced backline. Talia conceded an average of only 1.4 goals per game and didn’t allow any goals to his direct opponent in seven matches. The dedicated defender ranked eighth in the AFL for spoils (135) and also improved the attacking side of his game, averaging career-high disposals (11.8), rebound 50ms, intercept marks and inside 50ms. His standing within the team was reflected in his elevation to the senior leadership group for 2015. The young defender backed up a breakout 2012 with another individually brilliant season, finishing equal-third in the Crows Club Champion award. Talia stood the opposition’s most dangerous forward every week and conceded an average of only one goal per game. He ranked 7th in the AFL in spoils, and No.1 at Adelaide in both spoils and intercept possessions. 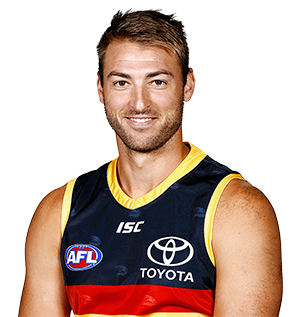 One of only five Crows to play every game in 2013, Talia signed a new three-year deal, which will see him remain at Adelaide until at least the end of 2016. 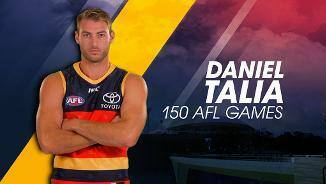 Notched up his 50th game against Port Adelaide. The former first-round draft pick overcame a pre-season Achilles complaint to make his long-awaited debut against the Sydney Swans in round 15. Talia showed poise in his nine games, shutting down his direct opponent and providing great support to his fellow defenders. The 20-year-old has an opportunity to make the centre half-back position his own following the departures of key defenders Nathan Bock and Phil Davis in successive seasons.